Importing of live aquatic animals among the countries introduces the risk of trans-boundary fish diseases. 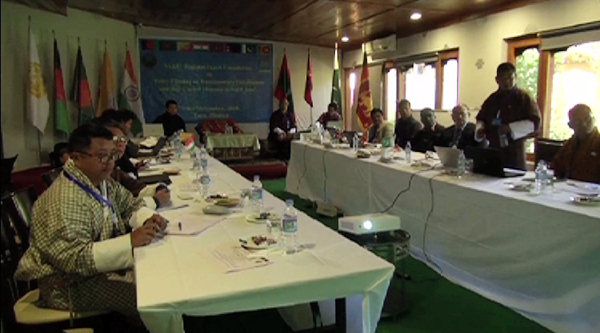 In order to prevent such diseases in the region, the aquaculture experts from SAARC countries met in Paro to frame a policy. Fish production and aquaculture are one of the main contributors to food and nutrition security globally. Almost 90 per cent of the global fish productions is from Asia and South Asian countries like India and Bangladesh. However, fish production has been affected by emerging trans-boundary fish diseases. “For instance, in Japan, there was an outbreak of white spot syndrome virus and it has spread in countries like Vietnam, Thailand, Myanmar, Singapore. The trans-boundary diseases and pathogens not only affect the fish production but also affect economic production,”Drukpola, the officiating Program Director of National Research and Development Centre for Aquaculture, said. Although Bhutan today has no record of fisheries infested with disease, there is a risk with development and with an intensification of aquaculture and introduction of new technology. “Also, due to climate change, there are high chances in the future that the trans-boundary diseases might affect our fish production. So it is the right time to start the policy framing within SAARC countries to manage these diseases,” Drukpola said. He added that the Livestock Department is prepared if in case of an outbreak of fish disease.